Defending the character and honor of Joseph Smith, Jr. In my life, I have found that telling the truth is always easier than lying. This is true because all you have to do is remember what happened and tell it to the best of your ability. And generally, when this is done over time regarding the same event, the resulting stories, while maybe not exactly alike, greatly resemble each other in substance. Lies, however, are a different matter. To lie successfully about an event is hard. It requires great mental powers. First, you have to construct a story (sometimes on the fly) that is believable to your audience. This requires a good imagination as well as knowing something about the audience and what they will believe. Second, since you already know the truth, you have to remember the lie you told and not get it confused with the truth. Since the truth never changes because it is actually what happened, a lie that is being passed off as the truth must also never change. In addition, the liar must remember to whom he told the lie so as not to repeat something different to the same individual or group of people. Third, if the liar never wishes to be caught in the lie, over time, he must remember the lie and to whom he told it. And this is the most difficult part because after 5, 10, or 20 years, our memories fade and it is hard to remember the lies you told and to whom you told them. Keeping this in mind let me proceed to the point of this blog. Did Joseph Lie about Polygamy? Joseph is accused of secretly teaching and practicing polygamy and lying about his involvement in it from about 1831 until his death in June 1844. Joseph never preached a public sermon nor made a public statement in favor of plural marriage. In fact, he did just the opposite. He publically denounced its practice as evil and tried to eradicate it from the Church by pursuing punitive actions against those who were practicing it and accusing him of doing so. Even the historians who state he did practice polygamy confirm that he never publically said he did and always spoke against it. 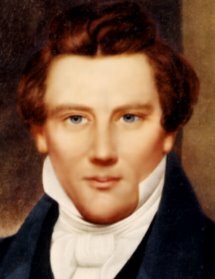 In Brigham Young: American Moses, p. 100, the author, Leonard J. Arrington, states that Joseph “unquestionably began to introduce the principle [of celestial marriage] to some associates in the spring of 1841, while the Twelve were still in England.” According to WivesOfJosephSmith.org, Joseph took two wives during the period of 1831 to 1841, three wives in 1841, eleven wives in 1842, and seventeen wives in 1843. From 1831 until his death in 1844, if Joseph lied about the doctrine and practice of polygamy, he would have lied to his family, Church members, and Church leaders in varying degrees. If the above statement by Arrington is correct, during the first 10 years (1831–1841) he would have had to remember all of his lies so no one would have known. Then beginning in 1841, he would have begun to reveal the truth to an increasing number of a select group, continuing to keep the general Church membership ignorant of the doctrine and practice. If he truly did this, he must have been a very smart man to keep it all straight. Remember, if you lie and want people to believe it, you have to remember the lie and to whom you told it over time—13 years in Joseph’s case. However, I believe he kept it straight because he told the truth that he did not teach or practice polygamy. If you tell the truth, you only have to remember the truth. In addition, it is much easier to be consistent in your story. Since there was no variance in Joseph’s position on polygamy, I have to believe he was telling the truth. If Joseph was lying about teaching and practicing polygamy and wanting to continue that lie, he would not have opened himself up to possible attack on this issue. But even if for some strange reason he did, the result speaks for itself. No one came forward to prove he was practicing polygamy. And in those days there was no concern for being politically correct. As the expression says, they called “an ace an ace and a spade a spade.” So if he had been teaching or practicing polygamy, someone would have come forth to challenge him. Did Brigham Lie about Polygamy? So according to this statement, Brigham first heard the doctrine of plural marriage from Joseph, and he was so repulsed by it that he would have rather been dead than to obey it. According to Arrington above, Joseph informed Brigham of this doctrine after Brigham returned from England, about July 1841. According to this statement by Brigham, during 1839–1840 the Lord, not Joseph, revealed to him the doctrine of plural marriage. Upon his return to Nauvoo in 1841, he told Joseph what the Lord had shown him and Joseph confirmed it. In comparing these two statements, each one greatly contradicts the other. If the first one was true, Brigham would have remembered the account 19 years later, particularly because the event was so traumatic that he wanted to die. It is not easy to forget those types of memories over time, and even if they are forgotten, they do not morph into an entirely different story. If the second one was true, Brigham would not have been astonished or repulsed by the doctrine as indicated in the first account because the Lord had shown him up to two years previously that it was correct. In addition, if the second statement was true, he would have told it the first time, especially considering it gave the authority of the Lord to practice polygamy. So who was telling the truth about Joseph’s involvement in polygamy? For 13 years, Joseph stated he did not teach or practice polygamy and sought to take action against those who were practicing it and accusing him of doing so. Joseph’s story never varied. However, after 19 years, Brigham’s second story made the first one look false and the first one made the second look false. Who was telling the truth? I believe Joseph was because his story never varied. I am a lifelong member of the Reorganized Church of Jesus Christ of Latter Day Saints (RLDS) and have been a member of the priesthood since 1974. I am associated with the Restoration Branches Movement of this church. As always, well done, my friend. I thank you for your efforts in standing for the truth. Your arguments are beyond ridiculous in light of the clear evidence of Joseph's plural marriage. Any review of the statements of numerous witnesses with first hand information would establish that. While the evidence of actual sexual relations with plural wives is scant (and it was quite private as you might imagine) the notion that there were plural marriages is established well beyond reasonable doubt. Thank you so much for reading my blog and making comment. It is a privilege to live in a country that guarantees our right to freely express our opinions. Since the alleged original purpose of polygamy practiced in the early LDS Church was to produce “righteous seed,” the notion of plural marriages without sexual relations is just not true. Thus, DNA testing is proving Joseph was innocent of polygamy. Please read my blog, “Is DNA proving Joseph Smith was not a polygamist?” at http://www.defendingjoseph.com/2008/10/is-dna-proving-joseph-smith-was-not.html for more information on this subject. With all the information published today against Joseph, it is easy to fall into the trap of believing it. It sounds reasonable, but the problem is that the authors do not consider all the evidence. Please read my blogs, “The ‘New’ Attack on Joseph—Part 1” at http://www.defendingjoseph.com/2009/04/new-attack-on-joseph.html and “The ‘New’ Attack on Joseph—Part 2” at http://www.defendingjoseph.com/2009/08/new-attack-on-joseph-part-2.html to understand why this is. If you want to investigate all the evidence, I encourage you to read Joseph Smith Fought Polygamy at http://restorationbookstore.org/jsfp-index.htm. It presents the evidence ignored by all the other authors. Can you please contact me ASAP? Thank you for your blog (and Alan's puremormonism blog). I am an attorney in Salt Lake City and have to say that I agree with your conclusions after reviewing all of the evidence. I am preparing a thesis on the subject that I have been sharing with others. However, as I was researching "Joseph Fought Polygamy" and your materials, I came across a statement from Sidney Rigdon that tends to contradict your claim. In 1846, Sidney Rigdon, in a letter to his "The Messenger and Advocate," stated: "This system [polygamy] was introduced by the Smiths some time before their death, and was the thing which put them in the power of their enemies, and was the immediate cause of their death." P. 475, vol. 2. Rigdon also said that Sidney "warned Joseph Smith and his family," and told them that destruction would come upon them if they continued their course. I found these quotes in the correspondence between Joseph F. Smith and Richard C. Evans and the quote is correct. Do you have a response to Rigdon's statement? I could not find one in "Joseph Fought Polygamy." I am under the assumption that Rigdon was trying to secure his leadership position at that time and so resorted to libeling Joseph Smith (along with everyone else) in order to support Rigdon's claim of succession. Right or wrong, any help would be greatly appreciated. http://www.xmission.com/~research/family/strange.htm). It seems to fit the idea that Joseph was hiding relationships from Emma. This is a very interesting stance. I must say that I was unaware that some still felt this way given the body of research that has been conducted on this topic the last few decades. I admire the passion behind your position. However, I personally do not agree with your position. In my eyes, there is simply too much evidence to refute your claim. My GG Grandfather is John Taylor, who was in the Carthage Jail with Joseph Smith and witnessed the deaths of Joseph and Hyrum. John Taylor had plural wives. His son, John W. Taylor (my G Grandfather), also had plural wives. Have you researched the 1886 revelation that John Taylor claimed that he had (this claim is also made by John W. Taylor)? In this revelation, it is referenced that the origin of the principle goes back to Joseph Smith (this from a man that had a very close relationship with Joseph Smith). There is some controversy surrounding this revelation. You may find it interesting to research further. John Taylor had plural wives at the time of the jailing. So did Willard Richards, the other person jailed with Joseph and Hyrum. Both Taylor and Richards were among Brigham Young's closest associates and early apostles of the Utah Mormons. If Brigham Young was indeed the mastermind behind pinning polygamy on Joseph, then Taylor and Richards were likely part of that deceit as well. It is an interesting *coincidence* that Joseph and Hyrum, who denied polygamy, were killed, but Taylor and Richards, who were not only polygamists, but also Young's close associates, were not killed. After all, Joseph and Hyrum were supposedly murdered for their practice/teaching of polygamy. Why then spare the professed polygamists Taylor and Richards? There is not much *evidence* independent from practicing polygamists or avowed enemies of Joseph Smith that Smith was responsible for polygamy. Practicing polygamists such as Young, Taylor, Richards, etc., had a clear motive to justify their practice by attributing it to an authority such as Smith. Avowed enemies of Smith had tried to take Smith down before, and would certainly accept anything that would do it. Much like today, people who are anti-Mormon are happy to attach polygamy to Joseph Smith. It helps their narrative of Smith as a duplicitous deceiver. They don't care much what scandal it might be, if they can attach it Smith, then they are happy to echo the accusation. On the other hand, polygamists and their descendants are happy to echo the accusation because they obtain cover, authority, and rationalization for their unpopular behavior or some modicum of respect for their polygamous lineage. Evidence outside of these sources or attached to these types of motives is simply non-existent. It is the word of Smith against the claims of those with obvious motives to contradict those claims early and often. Thanks for your comments. You make some very interesting points. I think the greatest evidence against polygamy is in 3 vital teachings of Jesus Christ, that clearly show polygamy could never be a true principle. Christ taught against polygamy, though he did it very carefully & mixed it with his divorce doctrine, so as not to rile the Jews too much, for He knew most of them were too addicted to the abusive perk of polygamy to repent from it & let it go, so he didn't preach against it directly. But the righteous knew what Christ meant. For we all know Christ taught that anyone who married someone else while their 1st spouse was still living, committed adultery, even if they divorced their 1st spouse, for the divorce is invalid & they are really still married in God's eyes & thus they still commit adultery. But Christ was very clear that if someone is married to 2 living spouses they commit adultery. So Christ eliminated the possibility of a person having multiple 'living' spouses. And as Joseph Smith taught, no one can trump or change Christ's teachings or preach anything contrary to what the Holy Scriptures teach or they prove themselves false Prophets & false teachers & we should shun them. For truth never contradicts itself but is always harmonious. Christ taught the Golden Rule, Do unto others as you would have them do unto you. What man would want his wife to marry a ton of other guys & have little if any time for him & his needs & make him raise the kids all by himself while his wife was out courting & sleeping with other men. What husband would sit alone all day & sleep alone every night for years & years & not mind it? None. Thus polygamy doesn't even past Christ's Golden Rule. For men wouldn't put up with it. Polygamy doesn't pass Christ test of 'True Love' either. If you understand & possess True Love (Christlike love) for your spouse, you realize real fast that no man with True Love would ever abuse & neglect their wife with polygamy, he would rather die 1st. And Christ said you will be able to tell his 'true' disciples & Prophets by their unconditional true love, especially towards their wife, for Christ even praised & spared the wicked Lamanites because they had True Love for their wives & thus were more righteous than the Nephites, despite their other sins, for the Lamanities had not fallen for polygamy. A true Prophet would never live polygamy & treat his wife & children in such a vile way, that he himself would not even want done to him. A righteous self-respecting woman would not fall for polygamy & let a man use & abuse her like that. She would expect respect & equality & all the blessing, rights, powers & privileges that men have. And God would want her to have & expect those things too. Heavenly Father's #1 concern is for the protection of women on this earth, from the inequality, disrespect, abuse, adultery, abandonment or neglect of their husbands. So women can be at peace & fulfill their role of Motherhood to the best of their ability & be happy, contented, protected & provided for completely. And he commands all men & leaders to protect women from such things & all evil, harm, neglect & inequality, etc. God could never command men to abuse women with polygamy, even if women say they like it & don't want the respect they deserve, or he would cease to be God, for such abuse, disrespect & inequality of women, is against the Laws of Heaven & Earth which even God must obey. Please treat all who post and their opinions with respect. The purpose of this blog is to defend the character and honor of Joseph Smith, Jr. The vast majority of sites on the Internet proclaim he was a false prophet and an evil man. However, as I have studied the Book of Mormon, the RLDS Doctrine and Covenants, the Inspired Version of the Bible, and other confirmed writings of his, the Spirit of God has witnessed to me time and time again of the truth of them and that they were God given. Because "the Spirit of the Lord doth not dwell in unholy temples" (Book of Mormon, Helaman 2:59), Joseph could not have been evil and received these communications from God. Thus, I will post to this blog information and reasoning supporting his good character and the truthfulness of his calling as a prophet of God.